And a Bottle of Rum tells the raucously entertaining story of America as seen through the bottom of a drinking glass. 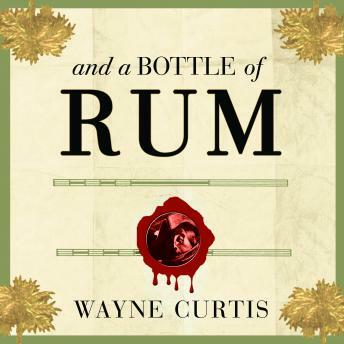 With a chapter for each of ten cocktails, Wayne Curtis reveals that the homely spirit once distilled from the industrial waste of the exploding sugar trade has managed to infiltrate every stratum of New World society. Curtis takes us from the taverns of the American colonies, where rum delivered both a cheap wallop and cash for the Revolution, to the plundering pirate ships off the coast of Central America, to the watering holes of pre-Castro Cuba, and to the kitsch-laden tiki bars of 1950s America. Here are sugar barons and their armies conquering the Caribbean, Paul Revere stopping for a nip during his famous ride, Prohibitionists marching against 'demon rum,' Hemingway fattening his liver with Havana daiquiris, and today's bartenders reviving old favorites like Planter's Punch. Awash with local color and wry humor, And a Bottle of Rum is an affectionate toast to this most American of liquors, a chameleon spirit that has been constantly reinvented over the centuries by tavern keepers, bootleggers, lounge lizards, and marketing gurus.